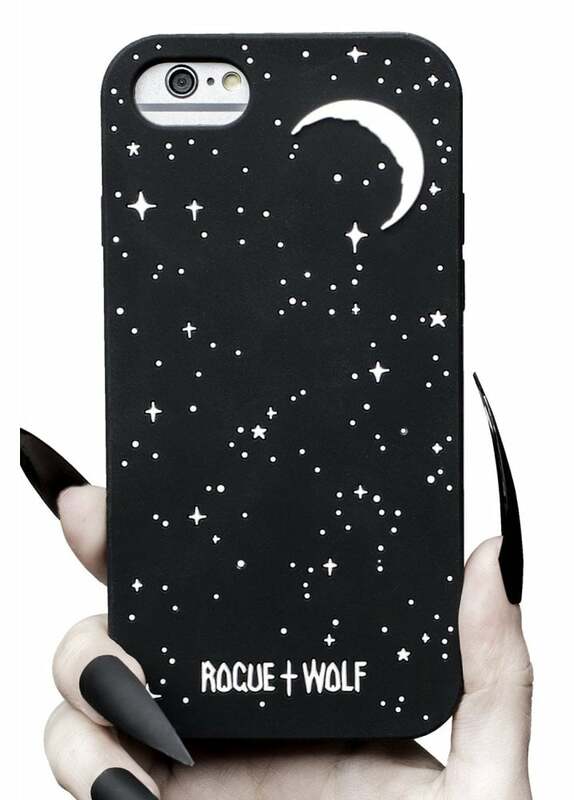 This Stardust Party iPhone 6/7/8 Case from Rogue & Wolf is a witchy, soft touch silicone phone case. The design features stars and a crescent moon. Made to ft iPhone 6/7 and 8, this gothic case is made from black silicone and covers the sides and back of the phone while leaving the buttons clickable and access to all ports.